An 82-year-old grandmother in Bogota, Colombia, presented a strange medical condition when doctors found a 40-year-old fetus in her stomach. The incident began when the grandmother was rushed to hospital in Tunjuelito, Bogota on December 8, 2013, because she was suffering from severe stomach pain. The doctor who examined the grandmother believed that she was suffering from gastroenteritis, or a diarrhea infection. However, when the doctors performed radiographic tests, it was revealed that the cause of pain to the old woman was the 40-year-old fetus. "We found a strange object in the pateint's stomach, initially we thought the object was a gallstone, but the ultrasound tests showed negative," said Doctor Kemer Ramirez, who treated the grandmother. The radiographic tests confirmed that the strange object was a fetus that had turned into a tumor. Our source reported that the fetus has been in the old woman's stomach for 40 years. 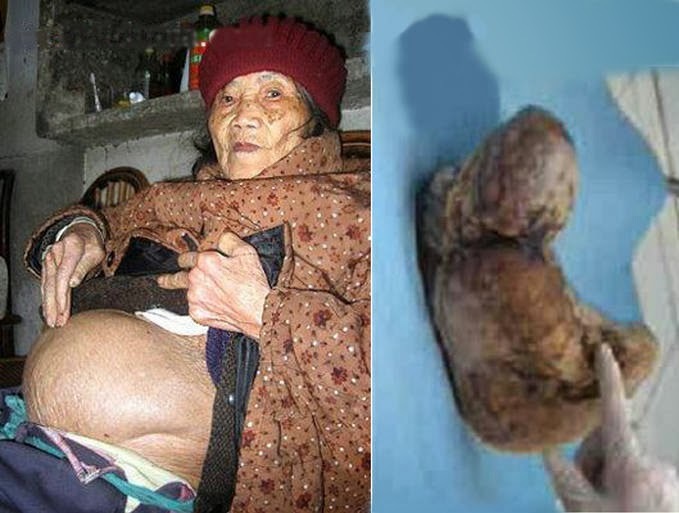 Our source reported that the fetus has been in the old woman's stomach for 40 years. 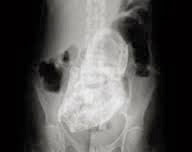 This condition is called Lithopedion; a rare phenomenon where a fetus not grew in the uterus but in the stomach. The body attacks the fetus in the stomach as it is considered a foreign body. The fetus is encased in a calcified membrane and becomes a tumor in the abdominal cavity. Pregnancy in the stomach occurs every 11 thousand pregnancies, and only 1.5 percent of these cases turned into a Lithopedion. The grandmother has been transferred to another hospital to undergo surgical removal of the fetus. In 2009, an old Chinese woman had a Lithopedian removed. Huang Yijun (92), a grandmother from South China, had a 60 year fetus removed from her stomach.